"Click It or Ticket" is the most successful seatbelt campaign according to the National Highway Traffic Safety Administration, helping to increase seatbelt usage from coast to coast. Adults and older children wear seatbelts, little children get buckled into their safety seat which is tethered to a restraint system built into cars. But what about pets? “Just as seatbelts are standard equipment for protecting humans in the event of a car accident, it is important to use pet safety restraints to keep your pet in the car seat during an accident because car seats are designed to carry people, not pets,” says Melony Lee, a Sleepypod owner and product designer. At Sleepypod, they have researched the catastrophic consequences of driving with an unrestrained or not properly restrained pet. Sleepypod hired a U.S. Department of Transportation and National Highway Traffic Safety Administration sponsored crash-test facility to test the crash-worthiness of its entire line of pet carriers as well as a generic plastic pet carrier, and a generic pet safety harness, using a weighted, crash-test dog. Crash tests were performed at the speed of 30 m.p.h. which is the standard for child safety seats in the United States. 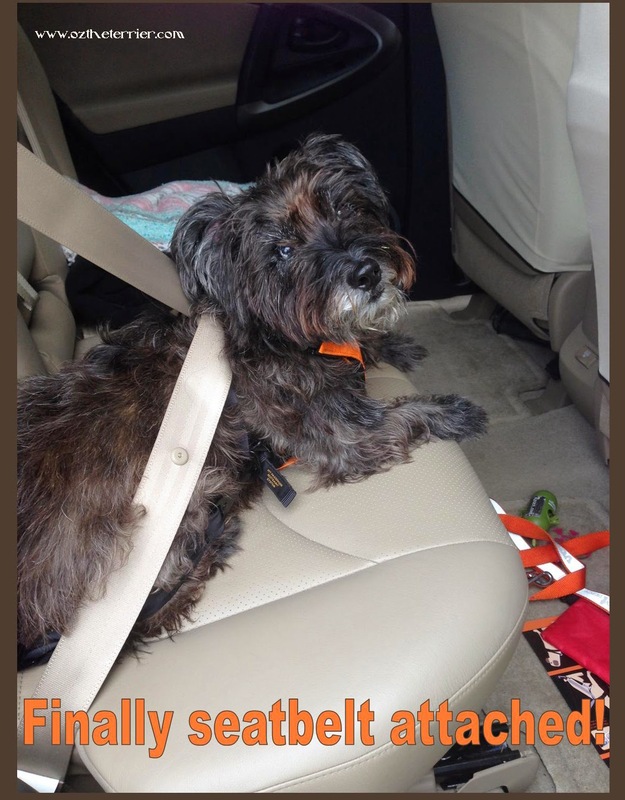 There is no legal standard for the crash-worthiness of carriers or restraint systems for pets so the standard for child safety seats was used. For any pet owner, the results of Sleepypod's Safety Test Program on non-Sleepypod restraints are terrifying. After receiving a press release about the crash-tests and watching the videos, Ma decided I needed a better car restraint. She talked with the nice folks at Sleepypod and they agreed to send me one of their newest restraint systems, the Clickit Utility harness. 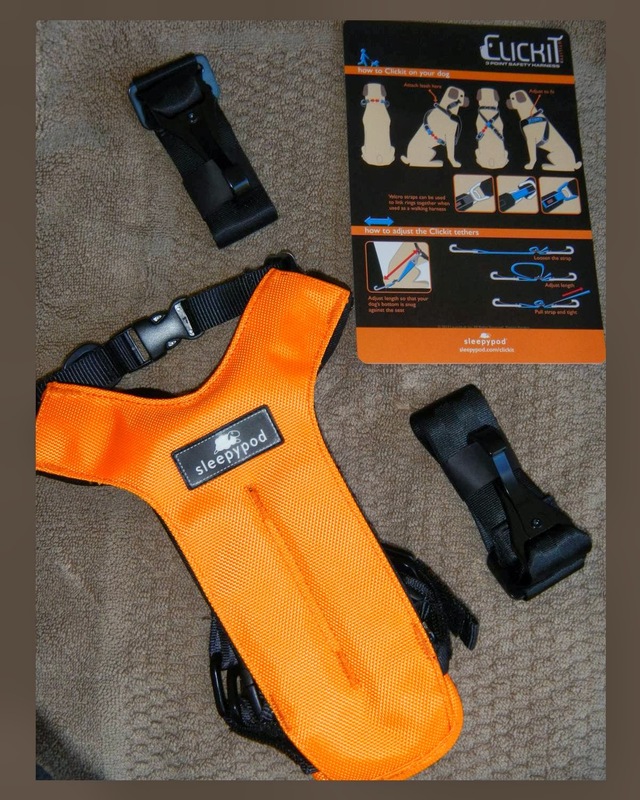 The Clickit is the first dog safety harness to incorporate three-points of attachment to absorb force in a frontal collision. In the Clickit Utility package, I received the harness, the two tethers that attach to the child seat restraints in the car and instructions on how the Clickit works. It can be used in the cargo area as well by attaching to the cargo anchors! The Clickit Utility harness is padded and is designed to hug the upper torso of a dog to absorb forward movement. The tethers, or belts, anchor the lower torso and reduce forward and lateral movement. I ride in the backseat so we connected the tethers to the child safety restraint system in the car. For a great description of how to secure your dog in the car in the Clickit Utility harness, watch THIS VIDEO on Sleepypod's YouTube channel. Now that we understand how everything works, attaches, etc., Ma and I love the Sleepypod Clickit Utility harness. We have gone for several drives to test it out and I find it very comfortable. On one of our drives, Ma even slammed on the brakes once when no one was around to see how the Clickit worked; I barely even moved from my spot (we weren't going very fast...probably not even 30 m.p.h.). I cannot wait for our next road trip knowing I will be comfortable AND SAFE in my spot in the backseat. Thank you, Sleepypod! 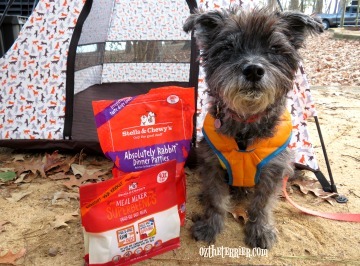 I give my Clickit Utility harness 4 PAWS UP for comfort and safety! 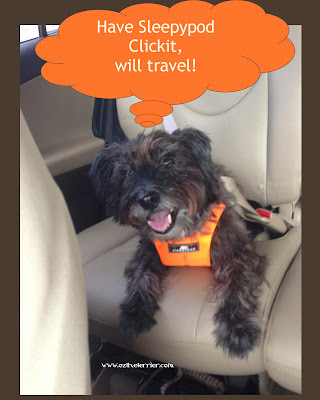 I highly recommend the Clickit Utility for any dog that is a road-tripper like myself. At Sleepypod, they believe your pet deserves the best and they aim to provide the most secure and comfortable products for pets at home and on the go. 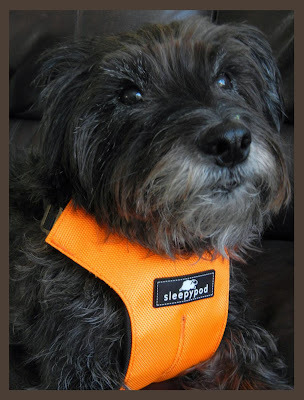 Sleepypod offers a line of travel restraint systems for your pets including the Sleepypod, Air, Atom, Sidekick and Clickit. Peeps would agree particularly as both Pip and I have managed to squeeze through the grill and navigate the back seat all the way to the front....LOL not. 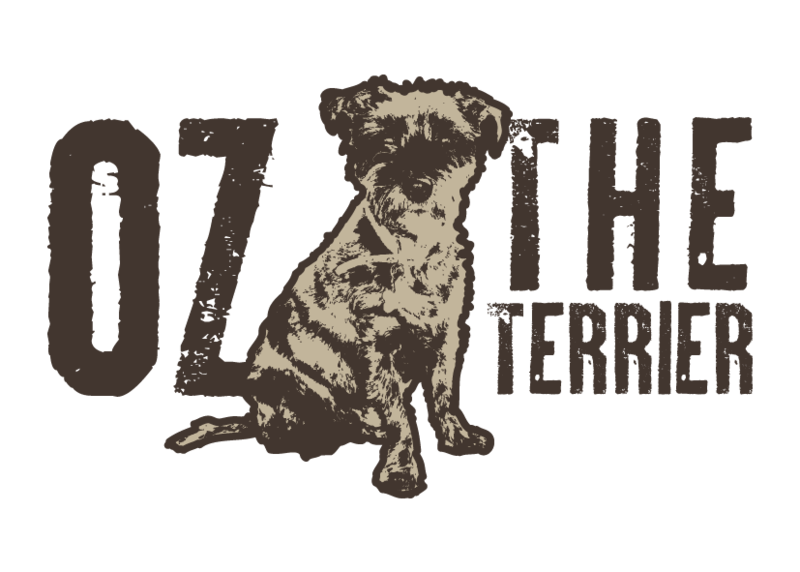 Great review and important message Oz. Have a terrific Tuesday. Oh yikes, Molly! You need to be careful in the car! 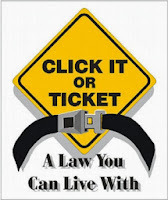 I always buckle up in the car, but my harness isn't crash tested. I would feel better knowing I had a harness that passed a crash test. High Paw Oz! You look very dashing in your bright orange Clickit. 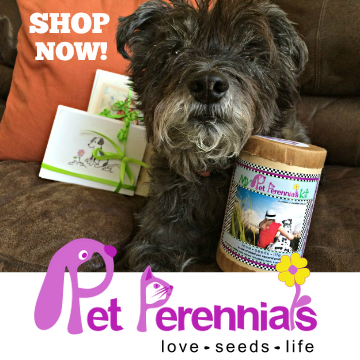 Woof-hoo, Pepper! Thank you...you know orange is "my" color! Passing the crash test is a big plus! On TV...really? I think it is a must have! Maybe you should ask Santa Paws for one!?! That is so cool for doggies! My Dad buckles in our carrier. Oooh, Brian...Sleepypod has crash-tested carriers for kitties! Yikes is right! Ma was scared after watching them! And I will tell Ma you said that, Miss Ann...she was a bit embarrassed about having some difficulties figuring out how it all worked in the beginning. 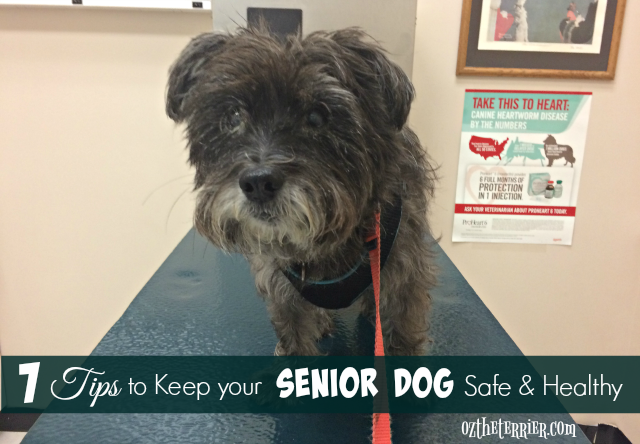 OZ MOM AND I AGREE...EVERY ONE IN THE CAR NEEDS TO BE SECURED. WE SEE LOTS OF PUPS RIDING AROUND HERE FLOPPING FROM ONE WINDOW TO ANOTHER AND BACK TO FRONT SEAT. I see a lot of that too, Madi. I also see...and get very mad when...people let their dogs hang out in the back of a pick up truck! Mom's leery about using any kind of "car harness", what with all the stir about worse injuries than free roaming pups. I'm in my regular harness and a short (2ft) leash buckled in when we ride. On an unrelated note, I'm reviewing their Air carrier soon! Oooh, cool! 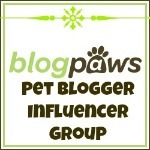 I cannot wait to hear about the Air carrier (not that I fit in it - BOL). That looks like a good system. We don't use anything at the moment, but mom is trying to find something good for both of us. Roxy, it would definitely fit Torrey. I don't know if you are too small for the Clickit...but they have all kinds of car seats for doggies too...and you may just fit on one of those! Thanks Oz! This is worth looking into and I'm gonna share this on my FB page and Twitter. Our back seat is down for Kayo so I'd have to see how this could work, but it's been on my mind. I'm a very careful and slow driver when Kayo's in the car but I know not everyone else will be! It was really depressing hearing that all of the restraint systems for dogs were failing - some even decapitating the test dummies! Glad to see there's at least one out there passing the test. Maybe Kayo and I will give it a try! I love that your mom slammed on the brakes to test it out - sounds like something I would do! BOL! You are very welcome and thank you for sharing it! See, Ma feels the same way...just because you drive carefully doesn't mean the other people on the road will! It was depressing and SCARY to see how other systems failed. I hope you give it a try and travel extra safe! Even the sleepy pod video looked pretty scary. However, I bet a video of what happens when you dog is not restrained at all is outright horrifying. I keep Chester and Gretel belted in to keep them from running around the car but know that in an accident it would probably not help them at all. Sometimes I wonder if it would make it worse. The problem with a harness like this for us is that a Dachshund's body is a weird shape so they would not perform with them like with a "normal" bodied dog. Also, they wouldn't be something we would use to walk in which means I would have to harness them in this system, switch them into their walking harness and put them back into this when we are done. It doesn't make sense for shorter trips. For long car trips it could be more useful though. Oh, Jess...one of the first three videos is of an unrestrained dog...the dog goes flying into the back of the front seat, head first and its neck bends completely in half. I would guess if it was a real dog, it would be dead. Yes, Chester and Gretel may be weird shaped for this but they may be small enough for one of the Sleepypod carriers...though I don't know that for sure. It's something to look into. And yes...the harness is not the best for walking...but once you get the hang of it, it comes off pretty easily! those videos are very scary to watch. imagine if those were real dogs. heaven forbid. bailey is always tethered into her car seat when we go out. 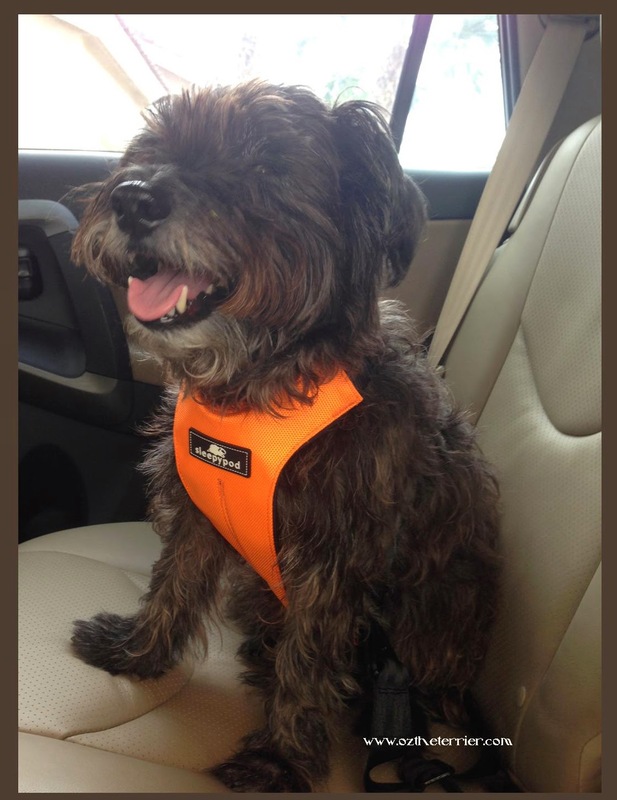 LOVE your orange harness vest. I hear that! Glad Bailey is in her car seat when you travel! Great review, Oz. With 3 large dogs I have yet to figure out what system to use. Well, this could be an option. That looks like one of the better harnesses I have seen. Thanks for the review. The last time I had to take my boys somewhere, they were bouncing all over the place and Shiver, at one point, insisted on sitting on my lap, which made it harder to drive. I should really look into getting something like this for them. Yikes! I'm never even allowed in the front seat never mind on the driver's lap! You should really look into a seatbelt or carrier for them. I remember your seatbelt review, Emma. I am so glad you are all safe travelers, Mollie! Okay, I confess we have a harness that we've never used on Rita. I should try it out on her, just to get her used to it, and then order a Sleepypod or the one Emma reviewed a while back also looked really good. She's very good about staying in the back seat, but it would be good to have her restrained. She may not like it at first but she will get used to it. I no longer mind being restrained in the backseat. I take a nap while the humans drive for hours. They are exhausted when we arrive at our destination and I am raring to go! Great review Oz. I have a seatbelt, but its not as fancy as yours! The Sleepypod ClickIt is absolutely the best dog seat belt I have ever seen (And I have seen a lot since I run Pet Auto Safety). 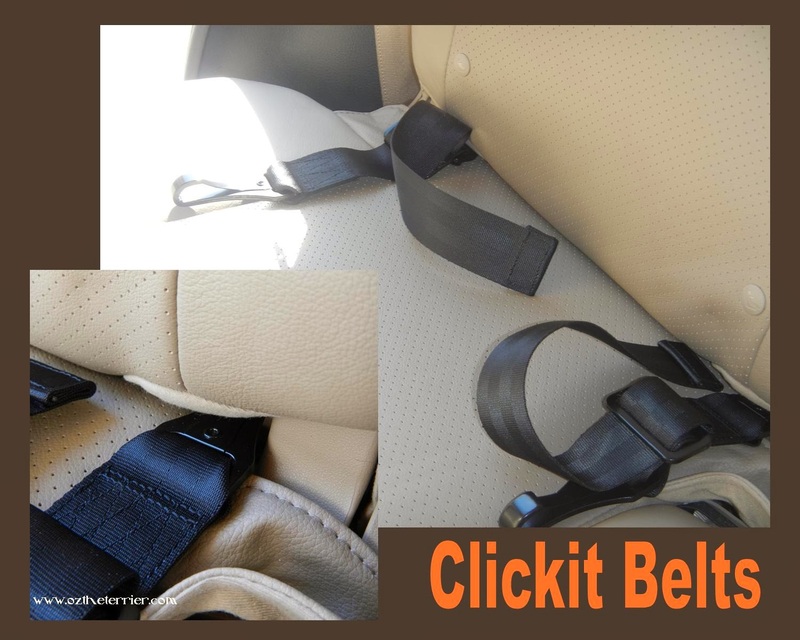 The ClickIt was rated as the safest dog car harness by a non-profit organization. The AllSafe and RuffRider were a close second. My dog Maya doesn't care for the ClickIt much because it restricts her so much. But that is part of the safety. Pierson doesn't have a ClickIt yet. I'm waiting for Sleepypod to have them back in stock next week. Oh, Dawn...I am so glad you weighed in on this since you have your Pet Auto Safety blog! The Clickits have been back-ordered for some time! It seems a lot of people are taking the leap and getting one! Dingy Lingy Lingy Oz ~I wear a seatbelt and always sit in the backseat in the middle. I know when I get in the car where to sit. 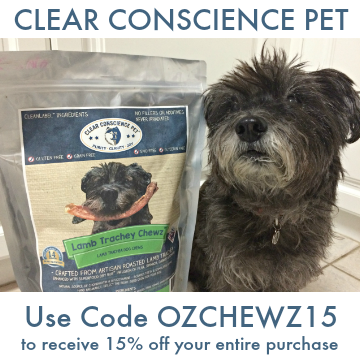 Oz I put up your post on my win of Tillman's Treats by Natural Balance.yesterday. Brilliant, Sir William! Glad you travel safe! Lee is a scrooge ~ I got one Tillman's a day. If I don't win my own treats Lee just gives me apple or carrots as a treat. Jeez what a way to live. Oh man I thought Joker was safe in a crate. After seeing thoes vids now I'm afraid. I'm new to driving, and the last thing I want to do is put Joker in a dangerous situation. I will have to buy one!!! I used to ride in a crate as well...then I got a harness that would hook to the seat belt. After seeing all those videos, Ma was scared which is why she talked to Sleepypod. We are hoping it keeps me nice and safe on all our travels! The harness is extremly important that it be safe- so no lungs get twisted around like mine did. Good review, Oz! You definitely look safe AND comfy in those photos. Have you heard about Finding Doogie? I wonder if the outcome would have been different had they had this. 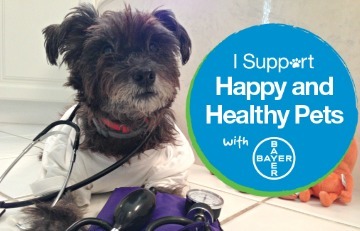 Luckily, Doogie was found weeks later but his Scottie sister didn't survive. Much love, the Scottie Mom. 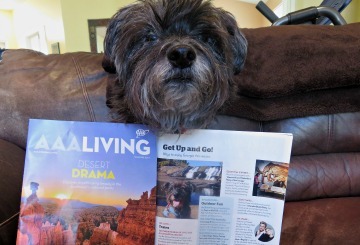 great review oz, your so darn cute. Hi Oz ! My Mom's car is 1996 and doesn't have Child Safety restraint. What does she need to do ? Thanks ! Benny the Corgi !